Praveen Pathiyil’s Forecasts: Nifty's fall in place. Am going to keep this short. 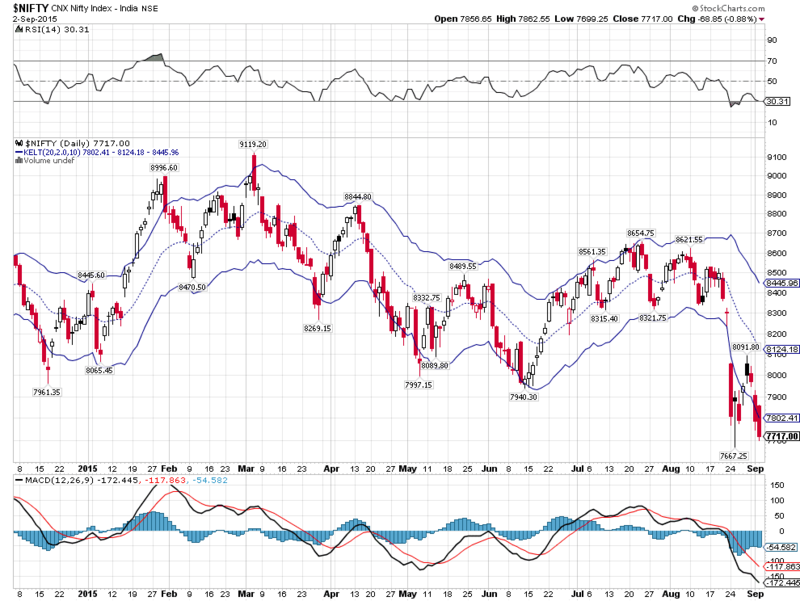 Nifty’s price action suggests little more downside is on its way. However I was wrong in anticipating it to be a free fall towards 7400. Rather than a free fall we witness a zig zag fall in place for nifty. This shows how strong our ongoing multi month bull run is. 7400 is going to stay, and it would be interesting to watch out for how Bulls behave once hitting this level. Intermediate term Trend: Trending Down. Looking at the trending pattern on the intermediate time scale, am not fully convinced the way it unfolds. Any positive move above yesterday’s high at 8044 will change the pattern back to neutral. Short term Trend: Trending Down. The trend will not change until we close above 8200, which means 8200 would act as SL for those who are short in Nifty.